At DVHS, our #1 concern is not how many animals we can get OUT, but rather getting the right pet into the right home. A home that will last the rest of that pet’s life. Pet adoption means making a commitment. Yes, a big part of that commitment is love – but it is also a commitment to care for that pet which means vet bills, food, boarding, appropriate housing, etc. DVHS should be a stepping stone for the animals that are living here. Let the next step be in your home! So, what does it take to adopt from DVHS? Provide 2 personal references – they should be able to speak to your ability to provide a loving home. Provide a Veterinarian reference. The vet will need to verify that you have an account in good standing, that past and current animals were kept up to date on vaccinations & spayed/neutered, and received regular care. If you rent, you must provide written approval from your landlord. For dogs, we don’t require a fenced in yard but we need to know how you will provide outdoor exercise. We need to know about any breed restrictions or other special conditions. All animals are up to date on vaccinations, dewormed and, if old enough, spayed/neutered before adoption. Dogs come with a thorough behavioral assessment by our K9 behaviorist who offers a free consultation class after adoption! Your new pet will come with a voucher to receive a free physical exam from numerous participating vets in our area. If you are approved for a dog, you must provide a collar and leash to bring him/her home. If you don’t have one, we carry Lupine products right here at the shelter available for purchase. If you are approved for a cat, you must provide a carrier to bring him/her home. If you don’t have one, we sell cardboard carriers here too! 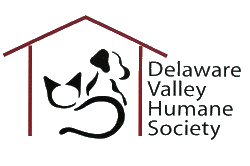 DVHS is excited to also provide Group Behavior classes for the public with a reduced rate for our adopters.